No changes needed for the pre-Strangerville patch 1.50.67.1020. Working as intended. 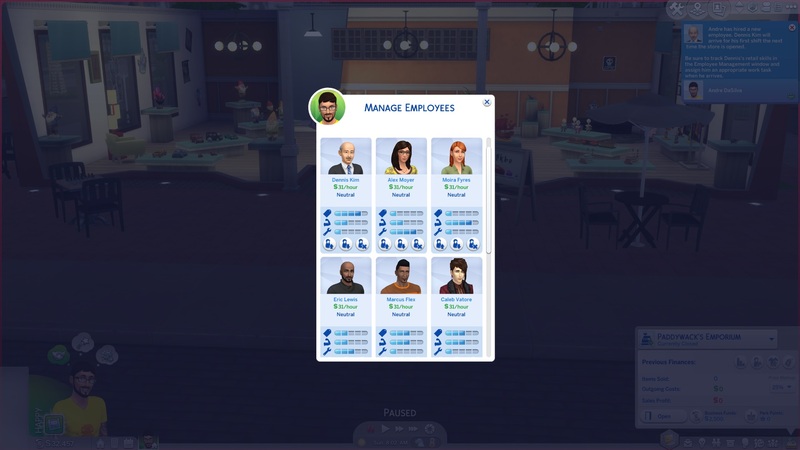 You'll now have the option to have 9 total employees! Overkill? Depends on your retail size. If you want to run a 2-story mall at a 40x30 lot or a full 50x50 mall, you'll need all the manpower you can get! I do NOT recommend this version if you use vanilla retail, you'll be capping your customers since you'll hit the limit of 20 sims per zone rather fast so you'll likely end up with 9 employees and a handful of customers. V1.35 is as usual the same as V1.3 but compatible with LittleMsSam Retail Overhaul which again, I HIGHLY recommend if you use my mod, it'll make your employees actually WORK! Both updates received a pure text update to allow for the additional 3 perks description to properly show for other languages. I completely forgot and only added the custom strings in English. Now it properly displays the perk name of "Additional Employee #3-5" properly. Updated the LittleMsSam compatible version so that you don't need to put it at a higher priority, it will always run above hers in the same folder. V1.15: Added compatibility with LittleMsSam Retail Overhaul mod. This version only works if you use her mod too, DO NOT use it without it! V1.1: I have worked more on this mod. Now, there are custom perks to go along with it! You will start with the usual 1 employee limit, but you now have at your disposition 5 additional employee perks to buy! I've modified their requirements to scale, taking into account more or less how easy it can be to get perk points. Feel free to provide feedback on the requirements. Now the mod feels more natural to the game. I've uploaded the updated mod. If you downloaded the previous one please keep in mind that you will lose the additional 3 slots if you upgrade until you purchase the extra 3 slots. I will leave the old version in case you do not want this system and simply want to start with 4 employees. V1.0: Original version released. This is the first release, it is compatible and works perfectly, but it has no custom perks. You start at 4 employees, and unlock 2 additional employees with the vanilla perks for a total of 6. Absolute first mod here, I've been toying with mods from others and talking with them and one of those was LittleMsSam with her retail overhaul mod and testing for it. And the idea came to me, why can we just have 3 employees? That's awfully low for mid-large retails. But how can I do this having no idea where to go? Well, thankfully somehow I managed to pull the tuning from Dine Out. 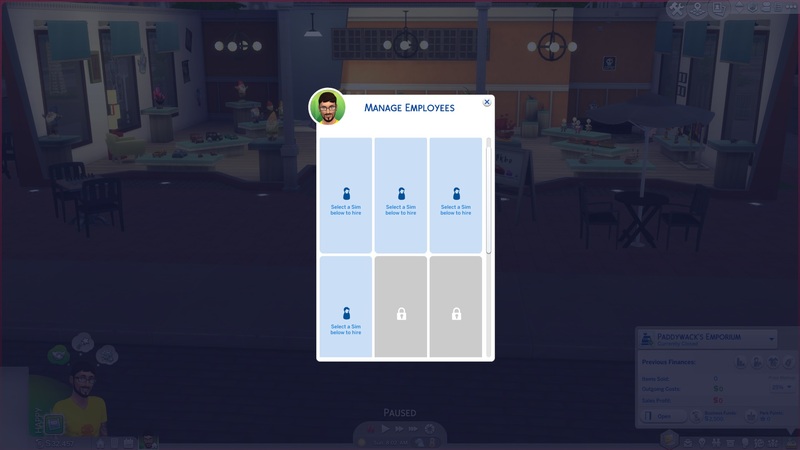 The issue with retail is that whereas in Dine Out the tuning for default and max employees is stated, in GTW it isn't (as in you cannot find it in the tuning files and change the number, you have to manually add it). The tuning is there, in the code set as default, but it isn't explicitly stated as such in the tuning files. Anyways enough of that. This mod is fairly simple. Increase the employee cap of 3 imposed by the game for retail venues. There are several flavors now, including the standard original version, and 2 other versions that increase employees to a max of 6 and 9 respectively. Added perks for additional employees. Just drop the file in your mods folder and you are set. -Any mod that removes idle chat (either SCAM, MCCC or Have Some Personality Please is what I use) LittleMsSam's Retail Overhaul now includes an idle chat remover. 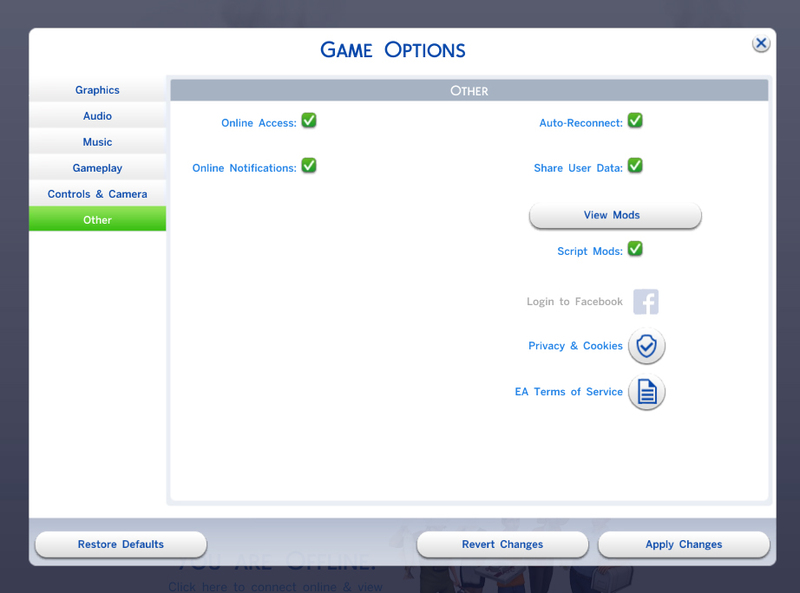 I still recommend the others just to have more personality on your sims autonomy but if you run her mod it isn't necessary! -Shimrod101 Less 'Musical Chairs', No Group Chat mod. LittleMsSam updated this, go to post #184 for the No Group Chat version, this prevents employees from getting entangled in group conversations that slow them down. Mind you, this will remove group chats completely from the game too. -LittleMsSam for allowing me to test her mod and learn from it and giving me advice! 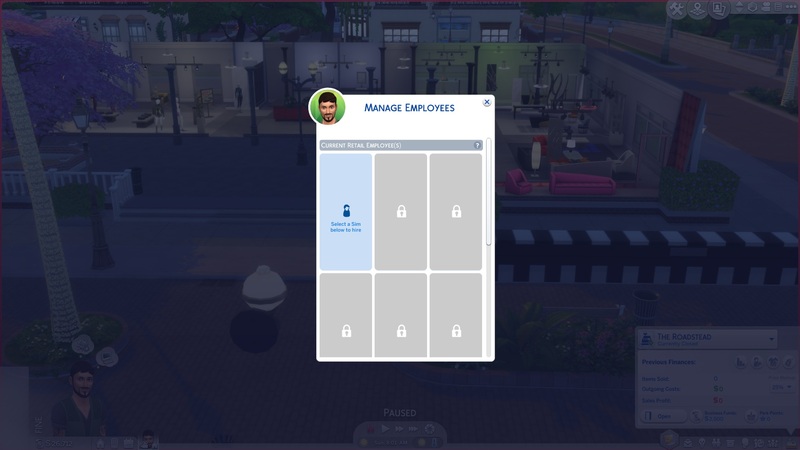 Archienic_MoreEmployeesRetail.7z | Description: Original mod, no custom perks, default starting employees 4. 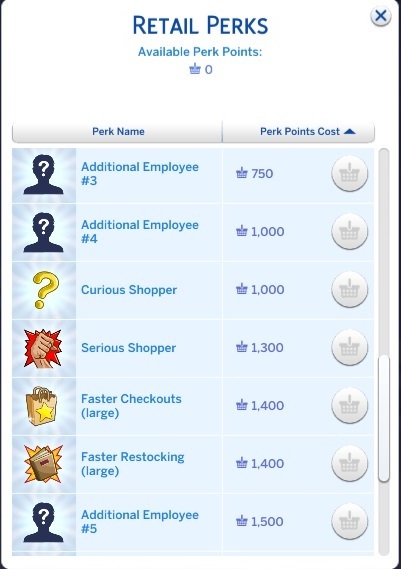 Archieonic_MoreEmployeesRetail_v1.2.7z | Description: v1.2 Custom perks per employee slot. Start with the usual first employee then unlock all 5 perks to have 6! Archieonic_MoreEmployeesRetail_v1.3.7z | Description: v1.3 Increased maximum employee limit to 9. Regular perk cost, starting at 250 for the first employee and scales up by 250 per employee, last employee costs 2000. Archieonic_MoreEmployeesRetail_v1.3_LowerPerksCost.7z | Description: Same as v1.3 but much lower perk cost, starting at 100 and scales up by 100 per employee, last employee costs 800.